DenialDepot has now been running for over 18 months and until now I have never dropped the act. DenialDepot isn't going away as such, but I feel it is time to reveal myself and by doing so I expect the nature of the blog to change accordingly into something more serious and thoughtful. I am in fact a skeptic of man-made global warming, although of course not quite to the extent that the blog has portrayed. The sole purpose of DenialDepot all along has been to build bridges between skeptics and warmists. They say laughter is the best medicine. I happen to agree. Hopefully some of you will now accept our skepticism of the temperature records, the IPCC, etc more kindly. Reassuringly I have seen a number of warmists recently crossing the bridge which I have helped build over the last 18 months. Of course there are others who keep piling on the vitriol, but the fact that they don't get it just tells me how clueless some members of the warmist community actually are (no offense to the rest of you). That aside the new face of DenialDepot will be one of reconciliation, concern and mutual discussion about how to fix the IPCC. What's gone wrong? How did it go wrong? how can we fix it? Don't worry the blog will be discussing science too, but we'll get onto the science much later once we've fixed the IPCC together and figured out who is to blame. I am also developing a new font for the blog called 'Times New Concerned' to add a sense of gravity to my words. Thus I will appear very concerned, very sensible, yet at the same time be remarkably indifferent to the threat of climate change. 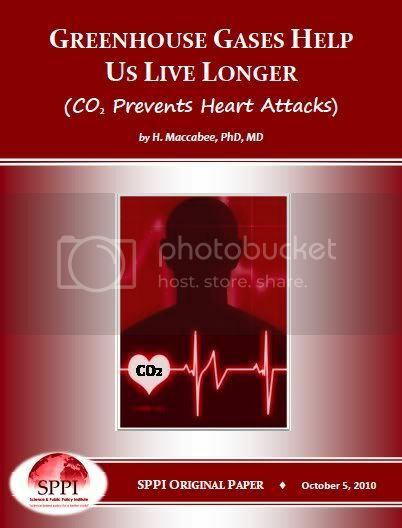 This first post will be the beginning of a long and admittedly drawn out discussion about words that relate to the IPCC. I will provide a word from the dictionary and commentors are encourages to discuss that word in relation to climate science. Eventually when no-one remembers how this subject started or even what it was about I will make a new post to start the ball rolling again. My intention is not to leave behind a lingering sense that the IPCC is corrupt, but to discuss corruption and the IPCC as two separate entangled threads. The first subject word for discussion is Ideologue. What do you think about that word? Is it a good word to describe any climate scientists you can think of? Come on gang, lets just have an open and fair discussion and see if we can come up with any names. I guess what I am trying to convey, ie the point of this post, is a sense of understanding uncertainty in science. Can we come up with a way to make the subject of uncertainty more uncertain? I am thinking of some kind of simple everyday analogy that will confuse everyone. Suggestions? Don't forget though that this is primarily about building bridges between skeptics and those alarmists! 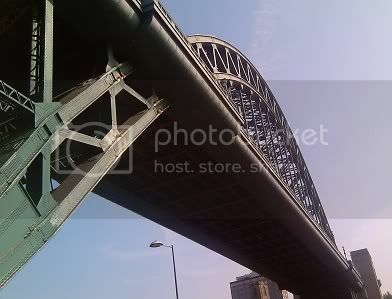 Not that the IPCC would be competent enough to build a bridge though. Oops sorry, I meant to say my favorite bridge is the Golden Gate Bridge. Oh there I go again with ClimateGate references! The subject word has just changed to dogma (I am pulling these out of a hat, don't worry it's all fair and we will get to the science shortly). Is dogma a form of ideology? No wait we've already done that word. Funny how this word association thing works because I am now thinking about hide the decline? What's that? Why am I thinking that? Now for the science. Hmmm have any of you ever wondered just what IS science? Lets just all toss our ideas into the comments and maybe on this blog we will actually define what science is for the rest of the world. I think the IPCC could include some of our comments in it's next report. Yes that's a great idea lets write the next IPCC report in the comments. Sorry this is all a bit disorganized but my head is swirling with ideas and I am not sure what my point is. Did anyone read those emails? 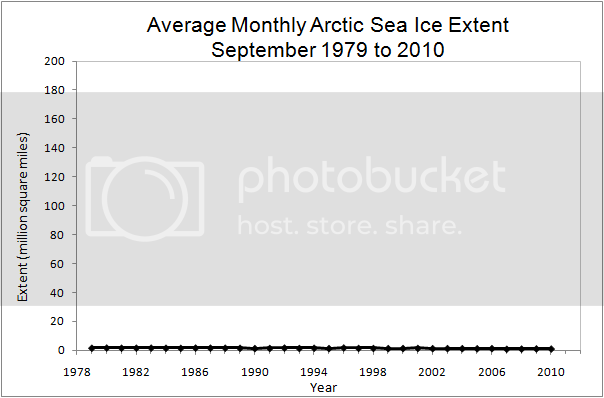 Above is a graph of September arctic ice amount taken from the website of the Nationalized Snow and Ice (adjusted) Data Center (NSIDC). 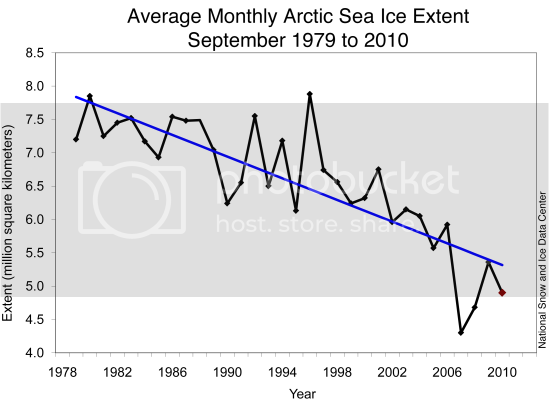 Warmists will have you believe that arctic ice is in decline and will regularly show you this graph to confuse you into believing their claim. 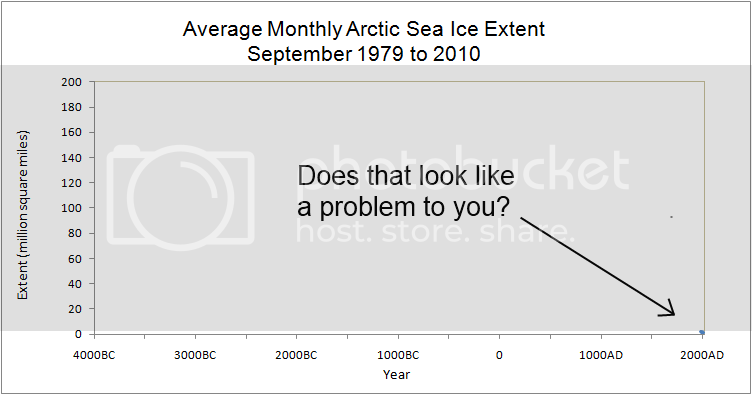 The warmist site SkepticalScience.com has even decided to exaggerate the NSIDC graph by putting an alarming curve through it. First notice the Y-axis of the above NSIDC graph starts at four million. Yet everyone knows numbers start at zero, not four million! Even kids learn this in school. In technical speak, the NSIDC graph misleads people into thinking 4 million is the smallest integer. 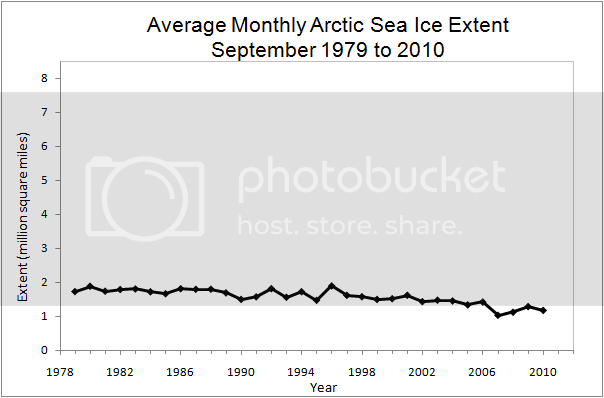 Hilariously the SkepticalScience.com graph has 3 million as the lowest y-axis value! The warmists can't make up their minds! If they can't agree on Y-axes how can they possibly predict the weather in 100 years time? Graph y-axes should always start at zero or else they will mislead people. Shocking. Compare the two graphs above. 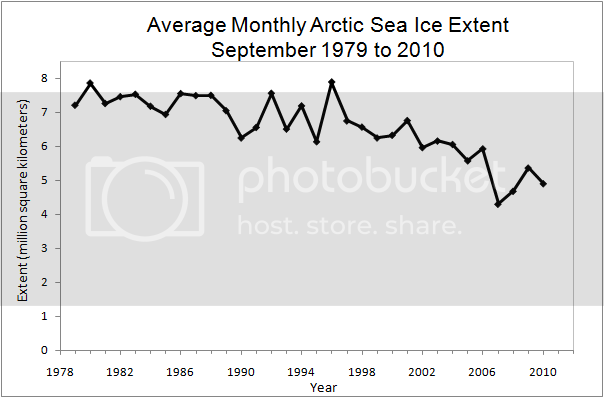 I wouldn't like to accuse the NSIDC and SkepticalScience.com of deliberate fraud, but is it just coincidence that the French system of kilometers shows faster sea ice decline than the US system of miles? When the French measurement system disagrees with the American one, we should always stick to to the American one, not only for patriotism, but also because men landed on the moon using miles not kilometers. If you go to Europe you will be shocked at the levels of poverty. Many of them are so poor that they only learn English as a second or even third language. Even England in Britain, UK has switched away from kilometers and now officially uses miles. There are two more problems with the graph though. Can you spot them? The upper limit of the graph of 8.5 million square miles is wrong. The true upper limit should reflect the total surface area of the Earth which, assuming a round Earth, is roughly 200 million square miles (a flat Earth would be somewhat more but for now lets take a conservative estimate and assume mainstream science is right). That's far more clear. Immediately I am having trouble seeing the sea ice. This is good. If you can't see it, it's not a problem.